Twist twine, or picture hanging wire around the neck and then make a small handle straight up. 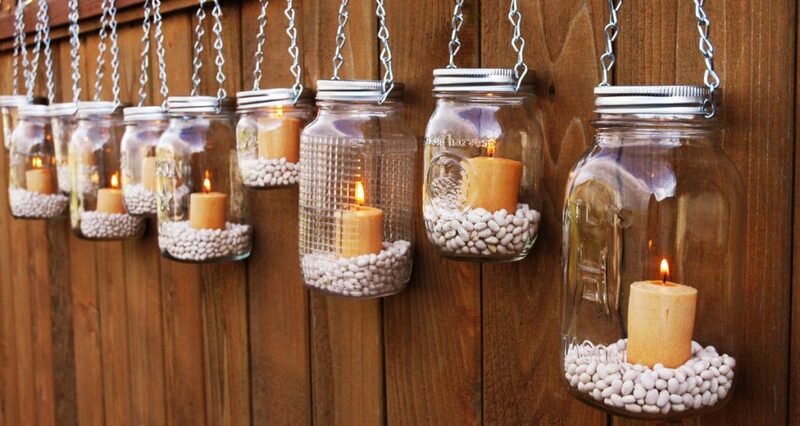 Fill the jar partway with rocks, marbles or whatever no flammable item that matches your theme, drop some tea lights into it. This is great for outdoor picnics. 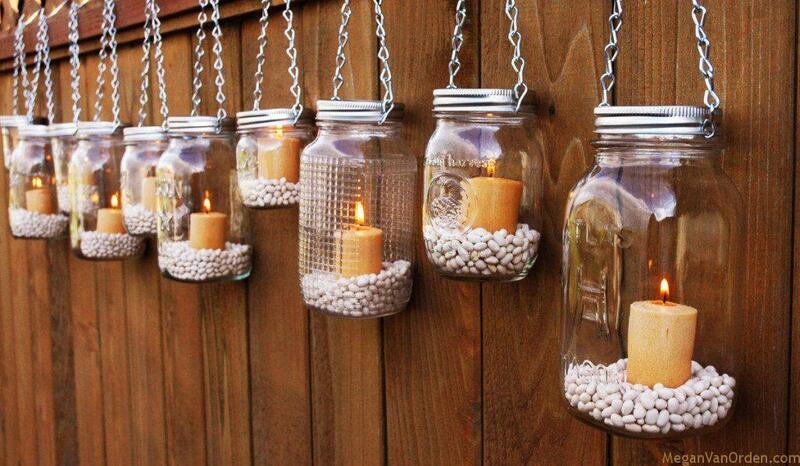 Another Great project for this is to make these same mason jars into citronella candles, here are some parts you need to make a citronella candle. Affix the Wicks to the Bottom of the jar. 2. Warm the jars so when you pour the wax into them, they cool evenly with out weird irregularities. Melt the wax in a metal pot that you don’t mind gets wrecked. This is where you can add and old crayon for color if you want. light it up and impress your friends!